Love the new DC XXRay figures from Jason Freeny and Mighty Jaxx but haven’t picked them up yet? You’re in luck! Mindzai has you covered with their XXRay contest for a chance to win the Batman, Superman and Wonderman XXRay toys ($60 value). To enter hit the jump for the entry form or visit the contest page. The deadline to enter is May 15th, 2016. One randomly chosen winner will score the XXRay trio. 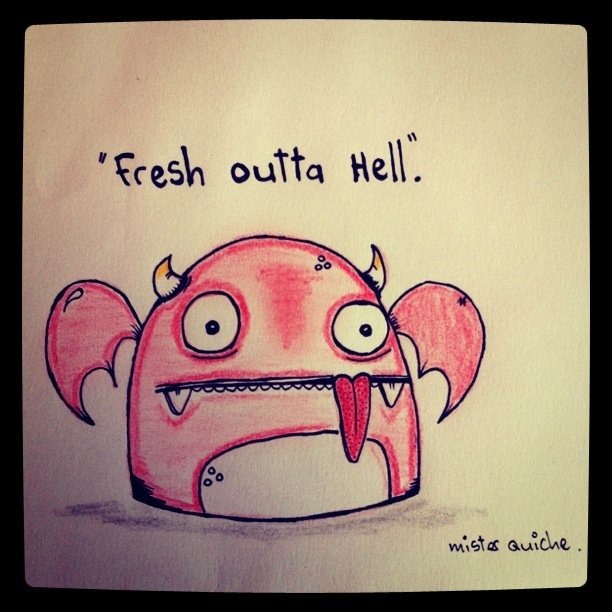 Fonzo World has put together a little contest for you French Bull Dog / Vinyl Toy Collectors! If you own or know someone that owns a Frenchie that look similar to Fonzo, Coco, Lucas or Bertha, all you have to do is share this photo on your wall/instagram, publish a photo of your Frenchie with the hashtag #FonzoAndFriends by January 25th, and tag and follow @fonzo_world and @thefrenchiepost. 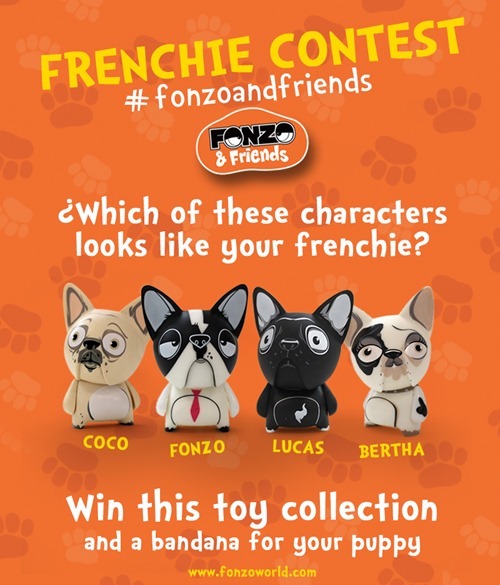 Four lucky winners will be chosen, who will receive a full set of Fonzo & Friends and a bandana for the winning Frenchies! Winners will be announced via @Fonzo_world and @thefrenchiepost on January 28th. Rotobox and Kuso’s work on the new 4” MiniCel line is nearly done. Based on the original, larger Celsisus/Fahrenheit figures, the new minis will debut at SDCC. The lineup includes a blind-box series featuring four figures – Minicel and Minifah + chase variants of each design as well as the previously announced stand-alone DIY edition. As with their larger brothers, MiniCel and MiniFah are ready for action with their own accessory loads outs. MiniCel will come equipped with three gun accessories – handgun, regular rifle, and sniper rifle. Preferring to dispatch foes hand-to-hand, Minifah comes with 2 future katanas. The smaller format Minicel figures offer cute, affordable action at just $15 for the painted blind-box figures and $10 for the DIY editions. They will be available first at Kuso’s SDCC booth [#5642]. 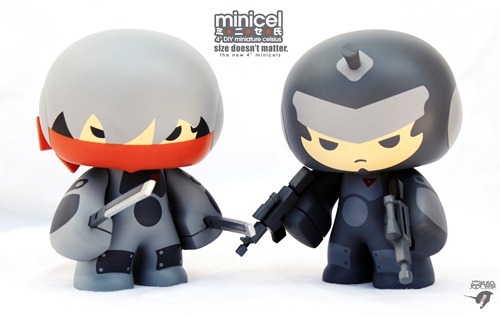 Thanks to Kuso Vinyl, Vinyl Pulse is excited to bring you the Minicel contest for a chance to win a four-pack of Minicel figures – Minicel (+ chase) and Minifah (+ chase). There are two ways to enter, and doing both will double your chance of winning. You can enter by entering a comment on this post and also by going to the @vinylpulse instagram, copying the photo, reposting it with #vpkusominicel and lastly following @vinylpulse and @kusovinyl on instagram. The deadline to enter is a week from today, Monday June 24th @ 8PM PDT. One randomly chosen, lucky winner will receive the four Minicel figures. 1. To enter, write a comment on this post and/or make an instagram entry as described above. 2. Deadline to enter is Monday, June 2013 @ 8 PM PDT. 3. One randomly chosen winner will receive a four-pack of Minicel figures. 4. Winner must respond to our notification within 72 hours. 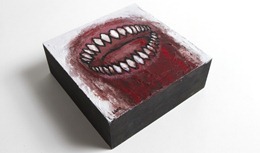 Thank you to all who entered our Dudebox DIY giveaway generously sponsored by Vinyl Riot. We’ve randomly selected a winner from all the entires and that lucky person is @lobitoalex on Instagram. @lobitoalex will receive all three of the 7” Vinyl Riot exclusive Dudebox DIY figures (shown above). We hope Monday’s treating you well. To help get your week off to a strong start, we’ve teamed up with the cool folks over at Vinyl Riot on a fun giveaway. Vinyl Riot has generously agreed to provide one of each of its exclusive Dudebox DIY figures (Hau, Scratch and Ted) to the lucky winner – a total of 3 vinyl toys. To enter the contest we’re asking you to help spread the word about the contest on both instagram and on facebook. 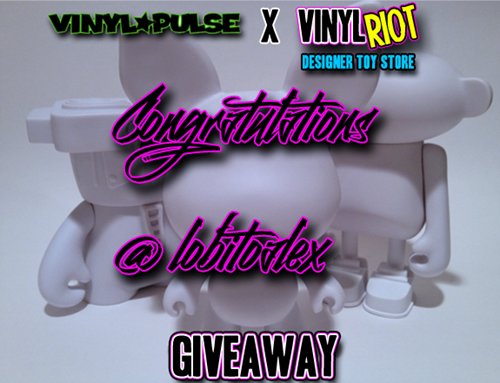 For instagram, please follow @vinylriottoys and post the giveaway image (above) to instagram with the hashtag #vinylriot. On facebook, visit the Vinyl Pulse fan page and ‘like’ the contest image. Enter before 8 PM PDT on Monday May 27th 2013 for a chance to win the three Dudebox DIY toys! 1. To enter complete the instagram and facebook tasks as stated above. 2. Deadline to enter is Monday, May 27th 2013 @ 8 PM PDT. 3. 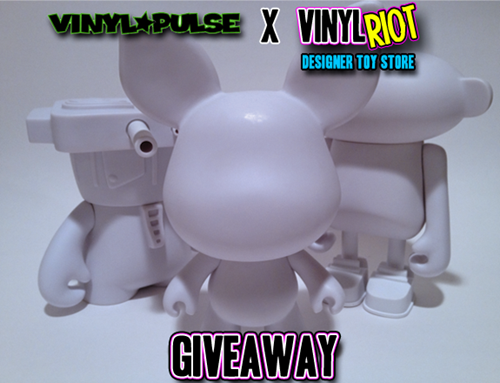 One randomly chosen winner receive all three of Vinyl Riot’s exclusive Dudebox DIY toys. 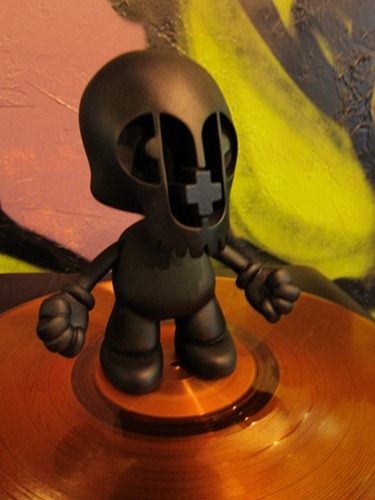 Kidrobot is celebrating the joy of customizing vinyl toys with their Munny Munth special event through May 31st. 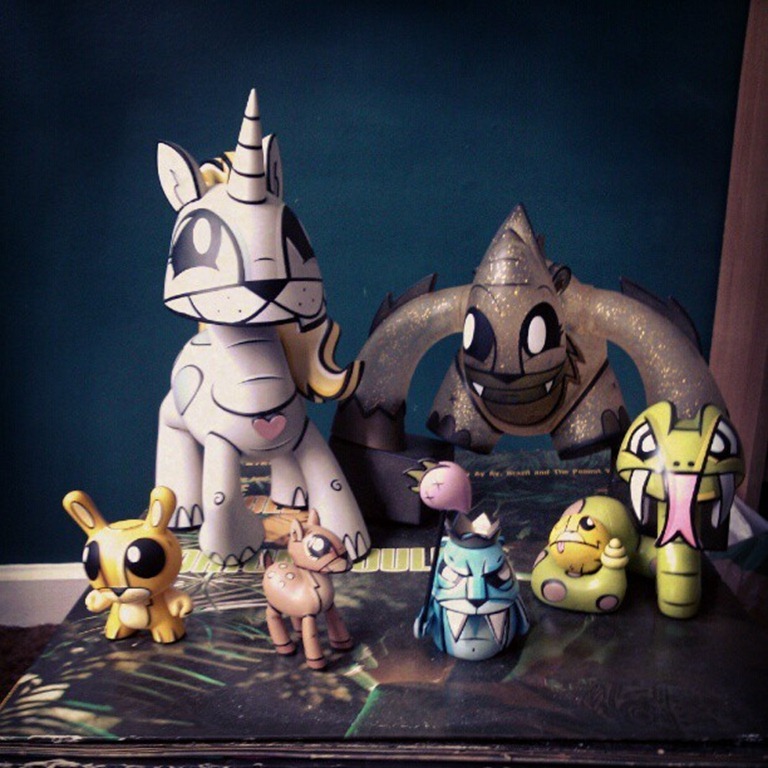 As in years past, KR is sponsoring a Munny customizing contest with multiple categories, artist and celebrity judges and cool prizes including a grand prize trip for to NYCC. 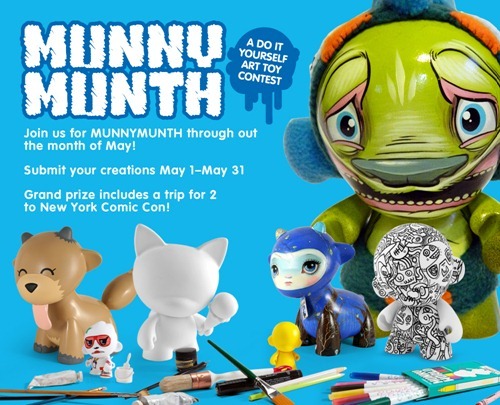 To enter you can submit a photo of your finished Munny World figure via KR’s Facebook or you also have the option of submitting via instagram or twitter with the hashtag #munnymunth. 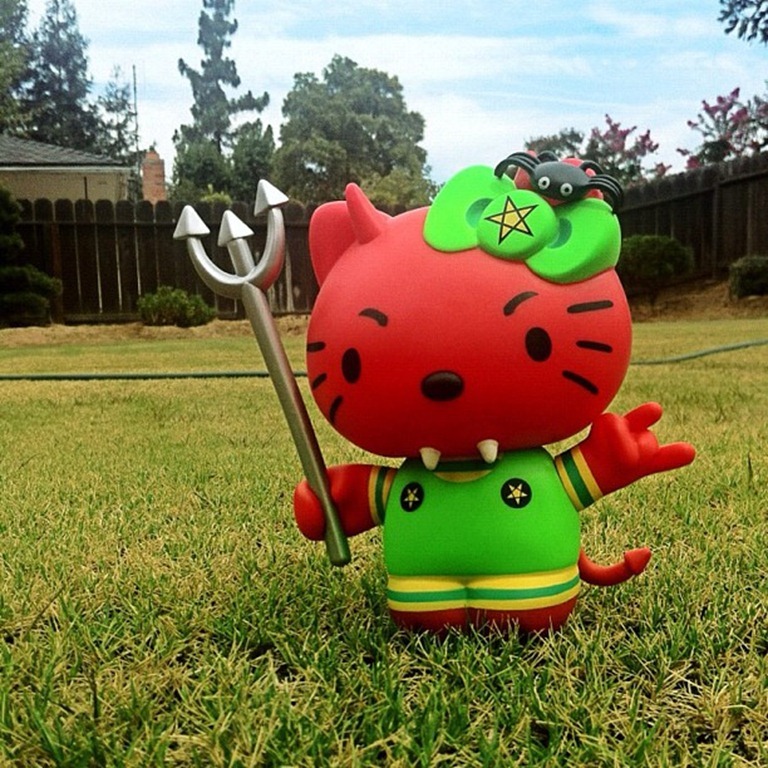 During Munny Munth, Kidrobot is increasing the fun by offering 20% off Munny World figures + free shipping @ kidrobot.com. Finally, for the best possible experience expressing yourself via Munny, Kidrobot is sponsoring weekly events (Saturdays 2-4 PM) at their five stores. The 5.4 events feature Scott Tolleson (LA), Scribe (Boulder), PAC 23 (Miami), and Shadoe Delgado (San Francisco). Check the official Munny Munth page for all the details. Clutter Magazine has teamed up with Dynamite Rex for an upcoming Raar! custom show that will be happening later in the year. They already have an awesome list of artists, but could use a few more! That’s why they’ve put together the Raar! Design contest. You can find more out more about the contest, as well as the template HERE. 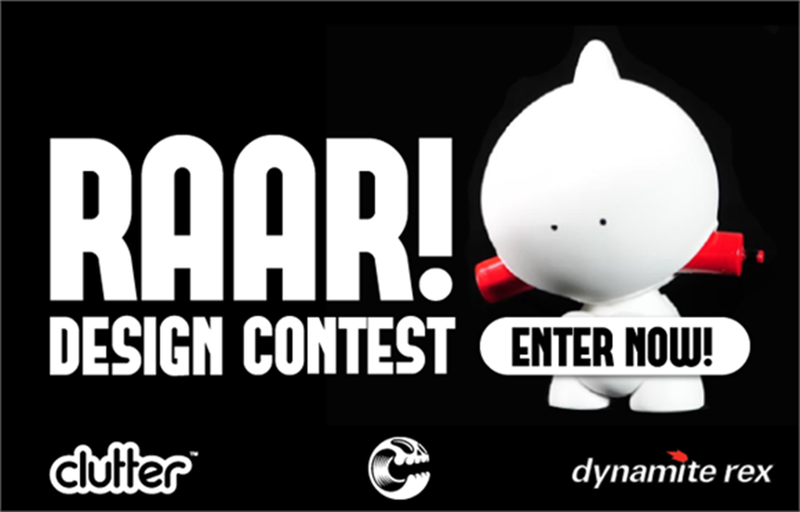 Winning designs will be provided with a 6” DIY Raar! figure to replicate their design onto. As part of our recent collaboration with pop culture site You Bent My Wookie on creating an art toy section for their holiday gift guide, we are co-sponsoring a giveway for a Cubify Cube 3D Printer. A $1299 value, this wireless 3D printer creates solid 3D objects and would be an excellent machine for doing quick, rapid prototyping of toy designs. The printer also comes with ready-to-use digital models for popular items including phone cases and bracelets. 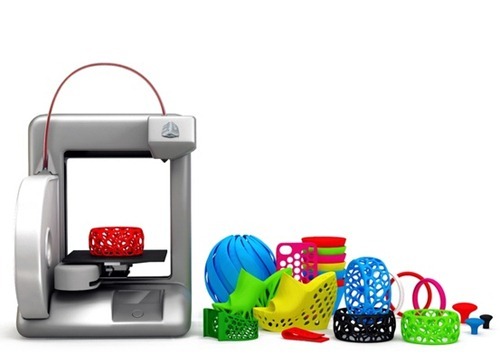 If you’ve always wanted a 3D printer (and who doesn’t? ), this is the perfect opportunity. To enter, visit the contest page and fill out the form. You can enter once per day through the deadline which is 11:59 pm on December 24th. Entering is simple, head on over to the official contest page and fill out the short form which will also add you to both the Mindzai and VP mailing lists. 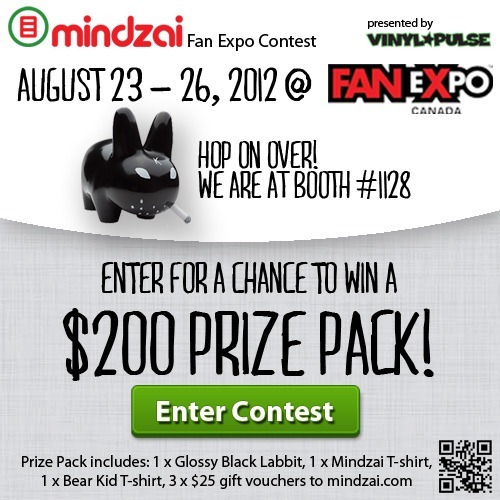 Or if you are at Fan Expo, drop by Mindzai’s booth [#1128]. Finally, keep an eye out on VP for sights from the convention. Thanks to all who entered the Mindzai x Vinyl Pulse Goon Squad Contest. As a result of a random draw, the lucky winner is Matthew Hansen. Congrats! Matthew will receive a set of the 5 Goon Squad Figures (random colors) created by Frank Kozik and Produced by Kidrobot. If you didn’t win, no worries – there are more contests on the way. Monday blah’s ? We’ve got just the thing to get your week off on the right foot. 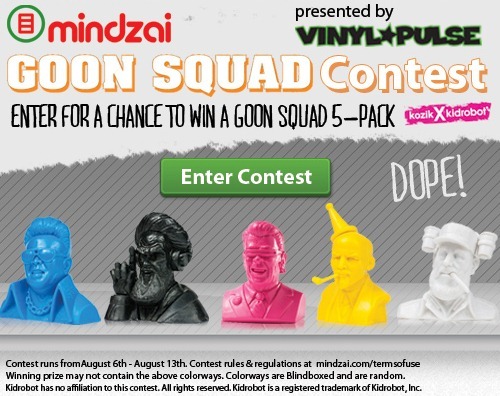 Vinyl Pulse has teamed up with the awesome new Canadian online retailer Mindzai to bring you a contest to win a set of Frank Kozik’s Goon Squad mini-busts (5 pieces, random colors). To enter, simply fill out the short and painless contest form on Mindzai’s Facebook or click the photo above to get there. Two more pieces of key info – the deadline to enter is 8:59 PM PDT on Monday August 13th 2012 and entering will enroll you in both the Mindzai and Vinyl Pulse email lists. It’s a new month, which means an all new month long Instagram photo contest! This month we offer you 4 new weekly themes for your toy shots! 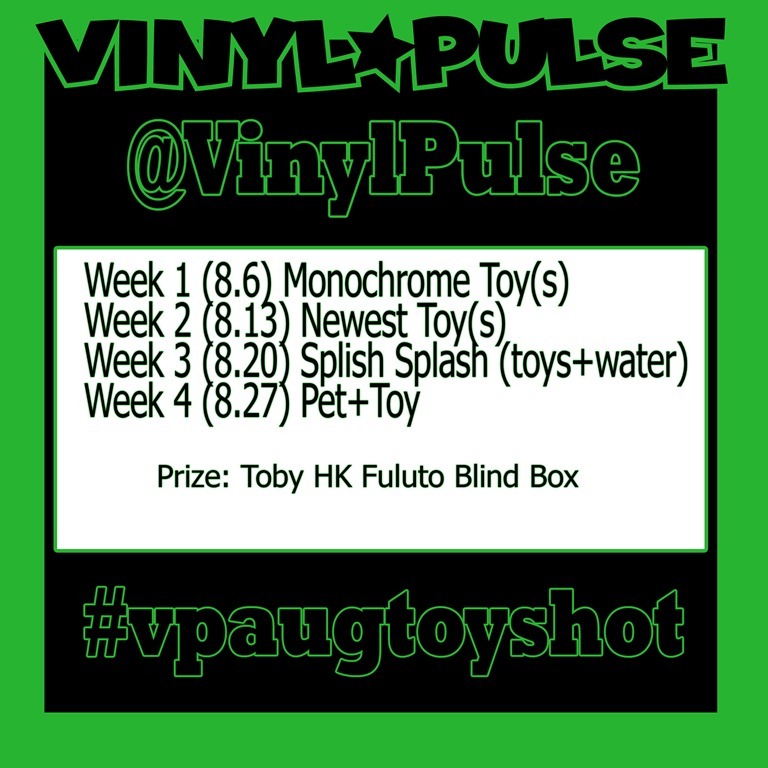 Week 1 (8.6) Monochrome Toy(s), Week 2 (8.13) Newest Toy(s), Week 3 (8.20) Splish Splash (toys + Water), and Week 4 (8.27) Pet + Toy. We want to see your toys and we would like to see you get creative! Feel free to post as many photos as you would like. Each week we will choose one winner to receive a Toby HK Fuluto Blind Box figure. 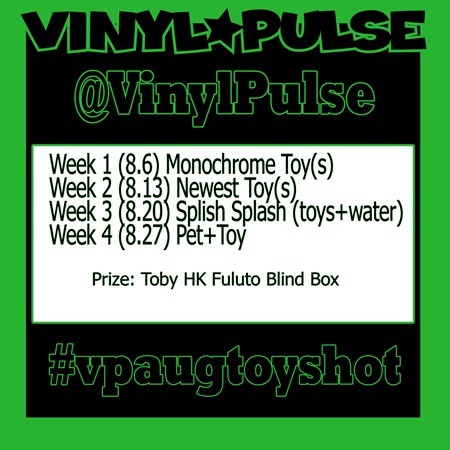 Don’t forget to include the hashtag #vpaugtoyshot and @ us at @VinylPulse. Re-gramming this photo will be very much appreciated too! 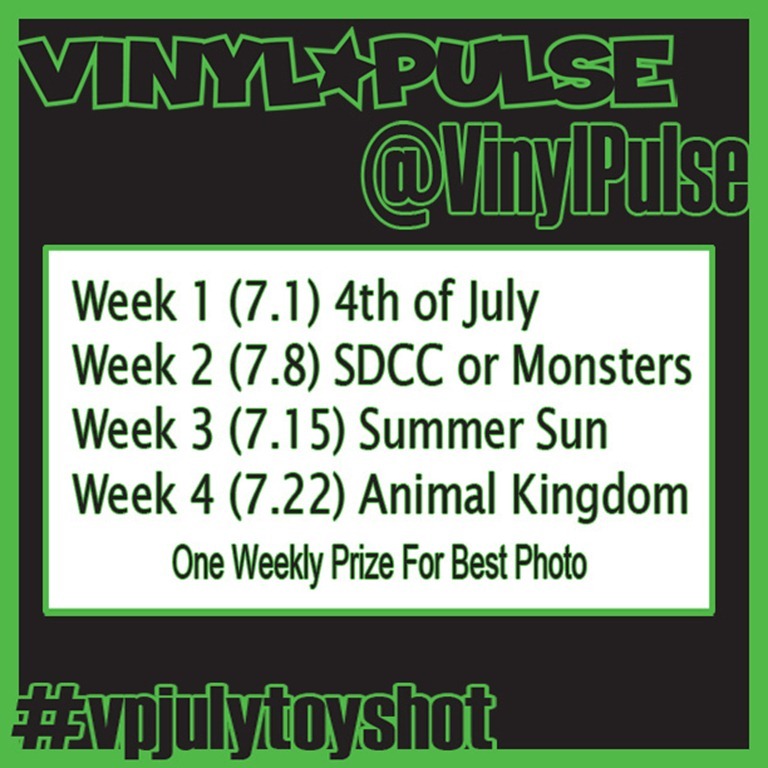 We have selected the winners of the third and fourth week of our #vpjulytoyshot contest over on Instagram. This is where we ask our viewers to take toy photos according to the weekly themes for a chance to win a prize! Stay tuned for details on the next round of #vpaugtoyshot! Onto our winners, shall we? The winner of the ‘Summer Sun’ Category goes out to @jwow (no, not that Jwow, this one is way cooler), with her Devil Hello Kitty coming up from the depths of Hell to catch some good ol’ earth sun. The winner of the ‘Animal Kingdom’ Category goes out to @beetle65, where brought out his collection of Jled figures. You can’t get any more ‘Animal Kingdom’ than that! Each winner will receive a King Ken blind box mini-figure. Hit us up on twitter (@vinylpulse) with your address, and we’ll get those out to you. A big thank you goes out to everyone else who have participated and we cannot wait to see what kind of pictures you come up with for the next round! Don’t forget to also follow us on Instagram at @Vinylpulse & @wtfunks. We know a lot of you out there are Instagram enthusiasts just like us! We’ve also noticed those monthly photo-a-day challenges that a lot of you participate in. So we decided to put one together for all you toy peoples! As one picture per day for a whole month is quite a lot, we decided to do weekly themed challenges. 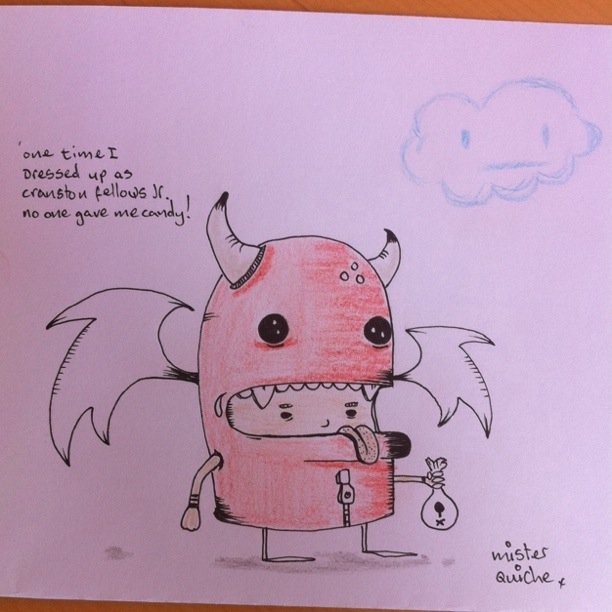 We are also throwing in one weekly prize to our favorite submission of the weeks theme. That means 4 prizes will be given out during the month. If we get enough steam going behind this, we may do more of these each month. This may result in more and more special prizes. When posting your photo don’t forget to add the hash tag #vpjulytoyshot so we can keep track of everyone’s pictures. At the end of each week we will also post the winner’s photo along with everyone else's submissions of that weeks theme here. Feel free to also re-gram the flier above! For the month of July we’ve gone with 4 themes. A little while ago, we worked with The Loyal Subjects to bring you a photo caption contest for the chance to win one of the OG Buckingham Warrior vinyl figures from Gary Baseman and The Loyal Subjects. Today, we’re happy to announce that the winner is Shawn Carlton Barnes. His photo caption eloquently expresses the heroism behind Baseman’s newest toy project. Congratulations to Shawn and thanks to all of you who entered. The Beast Brothers and Huck Gee will release the last Skullendario Azteca edition on Friday June 22nd. They’ve also partnered with Vinyl Pulse and several five other excellent blogs on a contest to win one of the Lord Magma customs. 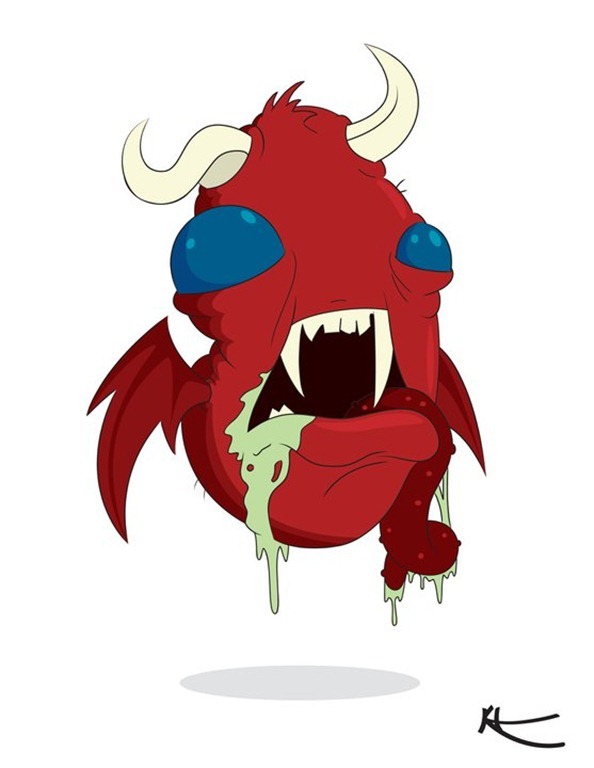 Each blog will randomly select one finalist and The Beast Brothers will select the winner of the Lord Magma from the six finalists via a ustream broadcast on the 22nd. To enter the VP contest for a chance to be one of the six finalists, take a trip to our spiffy Facebook and ‘like’ the contest photo by the deadline of 8 PM PDT on Thursday, June 21st. Then, be sure to visit Toysrevil, Clutter, Spankystokes, The Blot Says, and Vinyl Abuse to enter each of their own contests. 3. 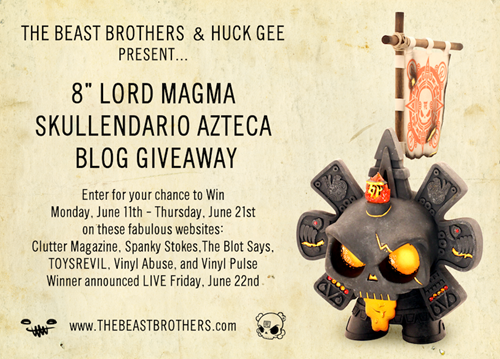 One randomly chosen user will be entered as one of six finalists to win a Lord Magma Skullendario Azteca custom. Like The Loyal Subjects facebook page and submit the caption as a comment to the contest photo on the TLS facebook page. 1. To enter follow the steps listed above. 3. Entries deemed to be crass or in poor taste will result in disqualification. 4. Entries will be judged by Vinyl Pulse and The Loyal subjects. 5. The creator of the entry deemed to be the ‘best caption’ will win a Buckingham Warrior vinyl. Gary Baseman’s upcoming Buckingham Warrior vinyl was inspired by his father’s heroic efforts as a freedom fighter to end Nazi oppression during WWII and his experiences as a Holocaust survivor. To celebrate the upcoming launch of the toy, Vinyl Pulse has teamed up with the art toy’s producers, The Loyal Subjects, to bring you a chance to win the figure by coming up with a caption for for the Buckingham Warrior photo that speaks to heroism or heroic deeds. 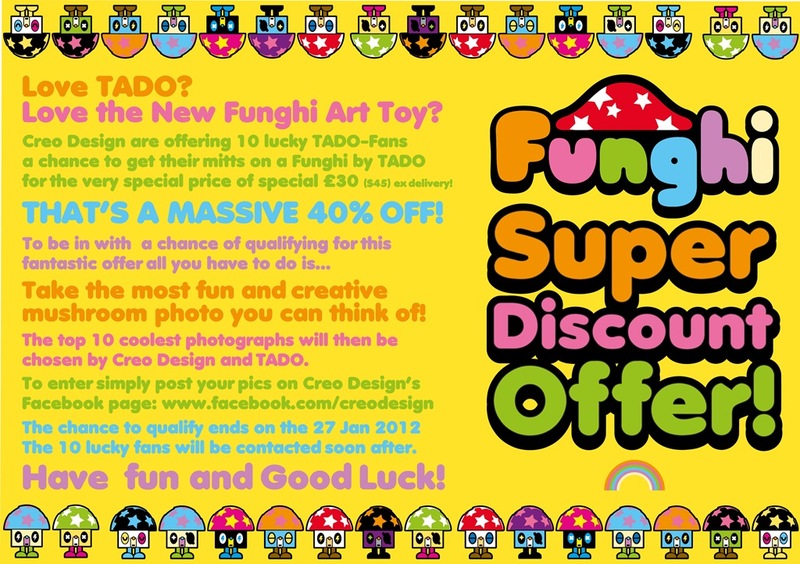 Creo Design has put up a competition to help 10 TADO fans, either add another Funghi figure to the collection, or help you own your very first one! They are running a photo competition, where all you have to do is take a creative photo of a mushroom. Then post it on the wall of their Facebook Page. The top 10 will be chosen by Creo and TADO after January 27th. 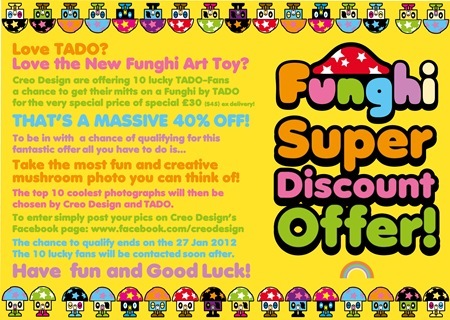 The winners will then receive a 40% discount ($45) off of a Funghi figure from their online shop. If you regularly make it out to art/toy shows in LA, you almost certainly know Cooper Berella (aka Super Cooper). 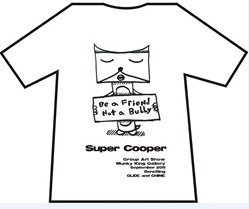 At 12 years old, his knowledge and love for this scene is infectious .To celebrate his upcoming birthday, Cooper has curated ‘Stop it!’, a group show focused on increasing awareness of bullying (and cyberbullying), which opens this Saturday, September 10th 2011 @ Munky King. In addition to being a super fan/collector, Cooper’s also passionate about making art – whether it’s sketching or sculpting and casting his own figures. To celebrate his new show, he’s sponsoring a giveaway. 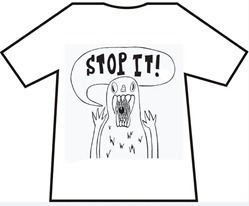 One lucky winner will score one of the official Stop it! 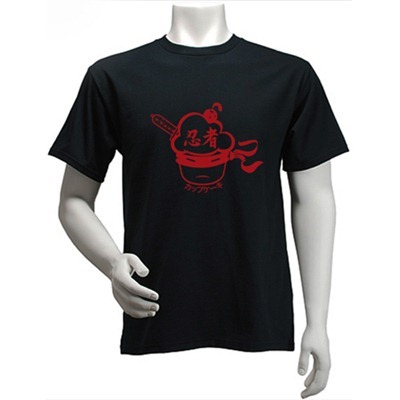 tees as well as an original sketch from Cooper himself. To enter, simply post a birthday greeting or other comment on this post by Friday September 9th @ 11 PM PDT. And be sure to stop by the opening this Saturday if you can make it to check out all the art and wish Cooper a Happy Birthday! 1. To enter write a comment on this post. 2. Deadline to enter is Friday, September 9th @ 11 PM PDT. 4. One randomly chosen winner receive a ‘Stop It!’ T-shirt and an original sketch from Cooper. Vinnie Fiorello is a busy guy. In addition to being an accomplished musician as part of ‘Less than Jake, he lso made a name for himself as a toy designer (remember the Monkey Assassin?) under the Wunderlandwar label just as vinyl toys were taking off in the States. Now he’s created a new endeavor, Paper + Plastick, a multidisciplinary effort focused on music as well as the visual expression of it. 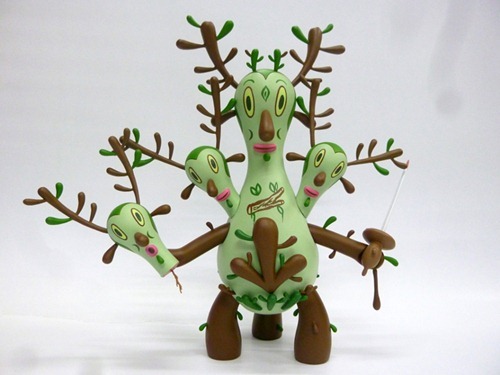 In addition to working on a children’s book featuring one of his true loves, robots, Vinnie’s also created Paper + Plastick’s first resin toy with sculpting and production from none other than Julie B. Limited to 67 pieces, this ominous figure cleverly incorporates the brand’s logo into its facial features. It’s available now for $60 from the Paper + Plastcik store. Thanks to Vinnie, we’re also giving away one of the new Paper + Plastick figures! As is our tradition, we’ll make this nice and painless. To enter, submit a comment on this post by the deadline of Tuesday, September 6th 2011 @ 8 PM PDT. The winner will be chosen randomly – that said, wit or creativity or both is definitely appreciated. 4. One randomly chosen winner will receive a Paper + Plastick resin figure. Are you a member of Facebook and a fan of Lou Pimentel’s Cranston Fellows Jr. figure, but have no where to share your love? Well we got the perfect solution for you! Cranston Fellows Jr. & Friends now have their very own Facebook page, where you can share your pictures, discuss upcoming releases, and geek out with fellow Cranston heads. With the launch of the new page, they have put together a fun little contest. To join, all you have to do is “Like” the Cranston Fellows Jr. & Friends page and post your own interpretation of Cranston for a chance to win a Ninja Cupcake Tee. They will select their top 3 favorites, which will then be voted upon by the fans. Entries will be accepted until 11:59PM PST on Monday, June 6th. Here are a few that have already been submitted by Kyle Harper, Richard Page, and Quiche Doser. 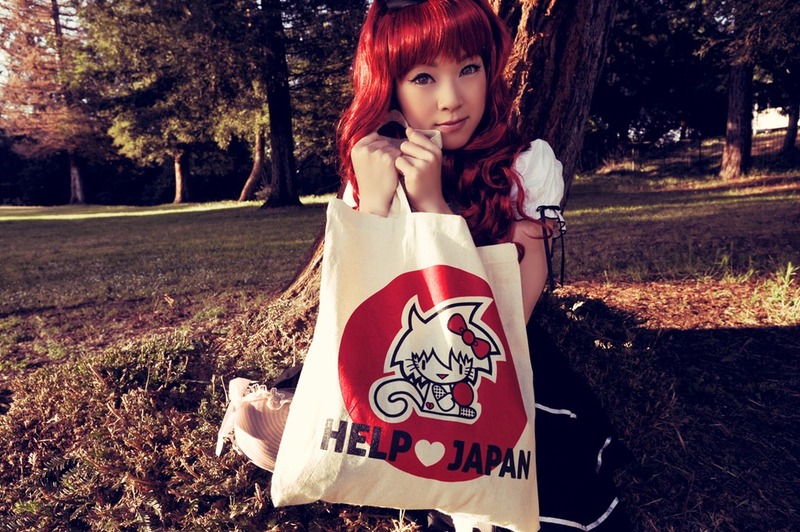 MaiHiro and LizzieRoyale of HelpHeartJapan have released a special edition Skitty Tote Bag for $15, HERE. The proceeds will go to the Red Cross to help with the recent disasters in Japan. They have also teamed up with Linda Le (Vampy Bit Me) to help give away one of these awesome totes for free! She will play judging the best/cutest Kawaii pose. 2) Then email [email protected] with your photo to be entered to be chosen as best cute/kawaii pose. Both male and females can enter but only once per person so make sure it's your best pose. 3) Tell all your friends and thank you wholeheartedly for your support! By May 22nd, 2011, Linda will choose the winner of the contest on Facebook and display their picture as well as sending them their Skitty Japan relief tote bag as a gift. Good luck! Vannen Watches will hold the raffle drawing for Luke Chueh’s original 6” x 6” painting created for his Vannen XL Watch on March 19th. Each of Luke’s watches (ed. of 150) includes a raffle ticket. 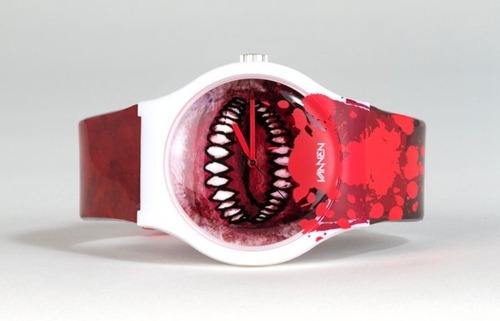 So if you’ve been eyeing the watch, now’s the time to pick it up from Vannen or Munky King for $88. Keep your eye out for the winning ticket number which will be announced on Vannen’s site, as well as their twitter and fb page. Also staying with this giving vibe, we’re happy to announce an exclusive giveaway for Vinyl Pulse readers sponsored by Vannen. 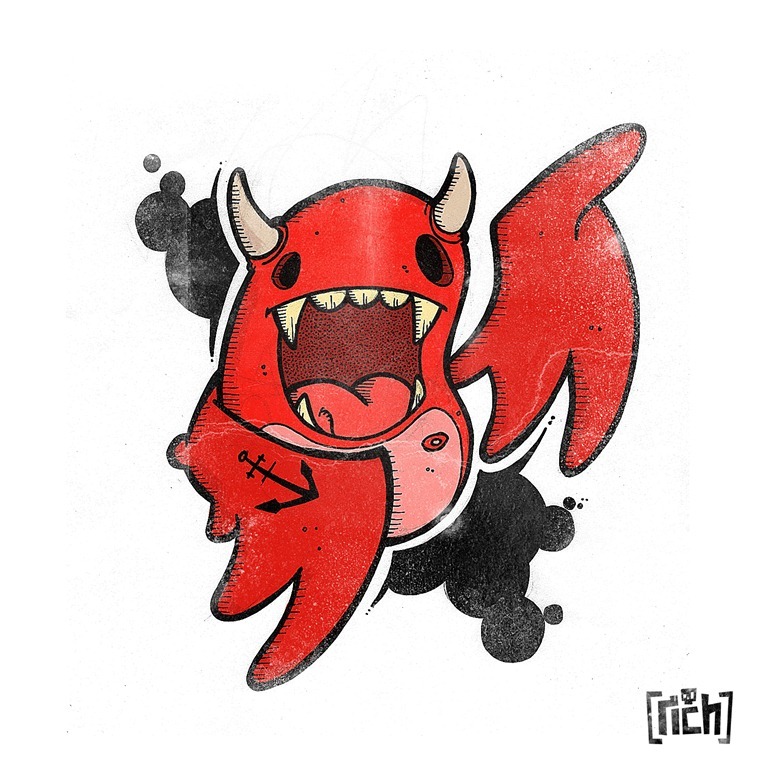 Simply submit a comment on this post by 9 AM PDT on Wednesday, March 15th 2011 for a chance to win a Luke Chueh Vannen XL Watch. 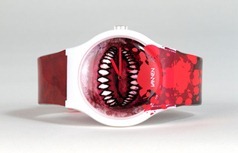 And yes, this watch will also include a raffle ‘ticket’. 2. Deadline to enter is Wedenesday, 9 AM PDT. 4. One randomly chosen winner will receive a Luke Chueh Vannen XL Watch. 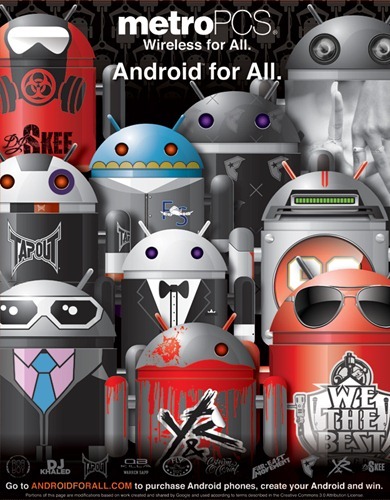 MetroPCS is currently running the ‘Android for All’ design-an-Android toy contest over at androidforall.com. Using their online design tools, contestants can create their very own android design and submit it to the contest gallery at which point others can vote for it ('via fb ‘like’). The winner will receive a 50” inflatable Android toy featuring the winning design, five 3” vinyl androids painted with the winning design (yes, the very same figure from Dyzplastic that all of planet earth is lusting over), and a LG Optimus M cell phone powered by Android. Entries must be submitted by March 14th 2011. After two successive public internet-based voting phases, the winner and 9 runner-ups will be determined by a judging panel. Give it a shot. Let's show everyone what serious designer toy experts can create. What’s better than one contest? How about two? We’ve got our very own giveaway just for Vinyl Pulse readers. The prizes? Two lucky readers will walk away with a prize package featuring an LG Optimus cell phone plus a MetroPCS branded Android toy. 18 other readers will receive a MetroPCS Android toy. How to enter? Comment on this post by Wednesday, March 2nd 2011 @ 8 PM Pacific and be sure to use your real email so we can contact you. Please note that this specific giveaway is limited to residents of the USA. Finally, for all of you living in Miami, go check out a special signing with DJ Khaled on Saturday, February 26th 2011 from Noon @ the MetroPCS store on NW 27th Ave (flier). 1. To enter write a comment on this post. Entry is limited to residents of the USA. 4. 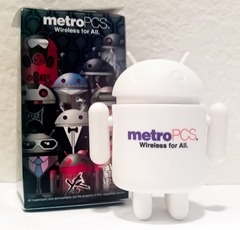 Two randomly chosen winners will each receive a LG Optimus M cell phone and a metroPCS Android vinyl toy. Eighteen randomly chosen winners will each receive a metroPCS Android figure.